Sometimes, off-the-shelf machinery doesn’t get the job done. You need equipment that is fit for purpose, unique to your manufacturing operation. AV Birch Engineering offers bespoke design and fabrication solutions that deliver exactly what organisations need. One of the barriers to custom-made items is cost. There are concerns that having something that doesn’t meet mass production requirements will be expensive. The same is true when production specialists assess the likely cost of new machinery for their manufacturing facilities. 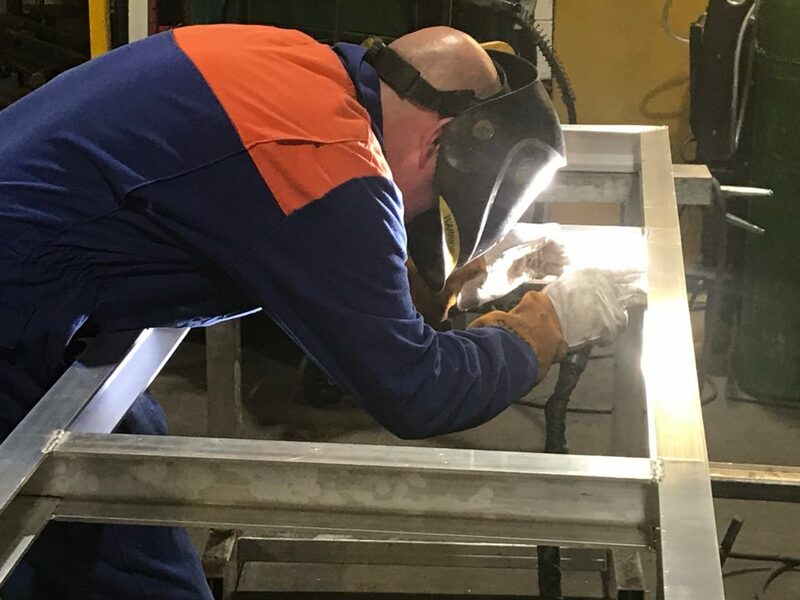 Since 1977 we have offered customers a quality service that addresses what they need to manufacture products to a wide range of industries across the United Kingdom and Europe. Over four decades we’ve evolved our expertise in many engineering disciplines. Whether it’s timber engineering machinery, steel fabrications, hydraulics, lifting gear or access and safety equipment, we’re perfectly positioned to solve production conundrums of any size or complexity. Who doesn’t like made-to-measure? Whether it’s a quality shirt, a perfectly fitted kitchen or a workspace with tooling exactly where you need it – we all love having things in our business and personal lives that are just right. First, don’t let perceived cost put you off. AV Birch has developed an expansive facility at our engineering base in Bridgnorth. We’re innovative and efficient. Having a budget often focuses minds, encourages creativity and ultimately leads to solutions that have not been considered before. Second, you should always consider the longer-term benefits. Safe and efficient machinery improves the working life of employees. Products can be made quicker, often more accurately and at reduced cost. With many of the AV Birch machines there’s also enhanced flexibility. You can teach them, so they learn and follow procedures – every time! You can adapt these programmes, enabling you to increase the variants and product range offered to customers. There’s full training so that your production teams make the most of the bespoke machinery, and of course we service equipment and update software to keep you ahead of the competition. The manufacturing world is ablaze with talk of digitisation, connected devices, the Internet of Things and the Fourth Industrial Revolution (or Industry 4.0). Considering what factories of the future might look like can be daunting. We will guide you through the latest jargon, but we know that the bottom line for most of our customers is whether new technologies can give benefits, lower operating costs, reduce mistakes and ultimately get better products available for sale. Our talented in-house design teams and experienced engineers weigh up all the options and present you with choices. If it works, adds value and fits in with your overall business plan we’ll explore every avenue to develop machinery that is truly bespoke for your organisation. In the first instance, get in touch. Let’s talk through your ideas and see what’s possible. We love a challenge, and delivering the bespoke machinery that helps our customers to solve issues, increase productivity and maximise profits. We’re a friendly bunch, so give us a call on 01746 714418 and we’ll map out the best way to approach your new project. 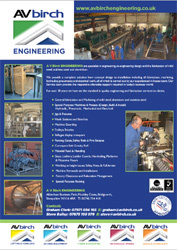 Alternatively, email enq@avbirchengineering.co.uk and we’ll arrange a convenient time to meet up.